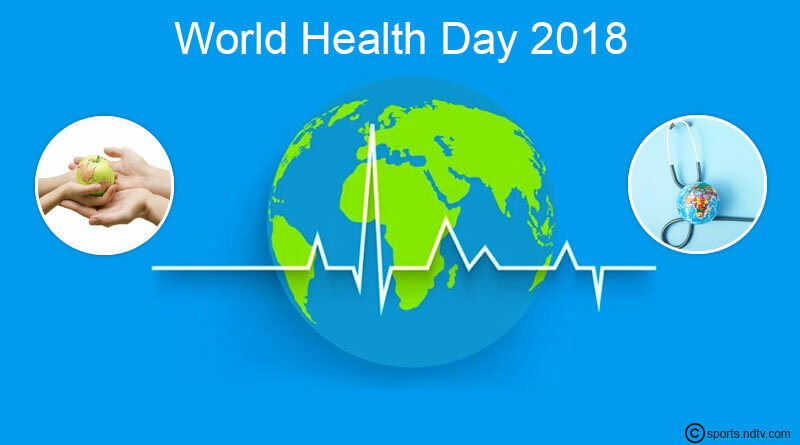 World Health Day 2018 is being celebrated on 7th April. At least half the world’s people do not receive the essential health services they need. In this 70th anniversary year, WHO is calling on world leaders to live up to the pledges they made when they agreed on the Sustainable Development Goals in 2015 and committed to taking concrete steps to advance #HealthForAll. This means ensuring that everyone, everywhere can access essential quality health services without facing financial hardship. World Health Day has a theme each year to draw attention to a current world health issue. The theme for World Health Day 2018 is “Universal Health Coverage” which means Health for all. The World Health Organization is an agency of the United Nations that focuses on the public health of the world at large. Through its efforts, we have seen the eradication of smallpox and its focus then turned to communicable diseases like tuberculosis and HIV/AIDS. The World Health Organization has been involved in mobilizing many health efforts world over. Describing what medicines are essential for public health, and which diseases to give a focus too. Everyone needs to be concerned about the health of themselves and their community and what better day to start than the World Health Day. While all these organizations and our Government is trying its best, its time to pitch in our personal efforts too. You can organize fund-raisers to support local free clinics and other public health sources. Blood banks are often taking volunteers to help out with their efforts, and the ability to have healthy, fresh blood on hand is central to saving many lives. Try to protect your environment, plant some trees and say no to plastics. Take some time to spread the word about how you and your neighbors can pitch in for a healthy world. Make it a point to help people know more about health and wellness. #HealthForAll is only possible if we help the needy to learn more about how to keep themselves and their environment healthy. Poverty must not get in the way of providing healthy meals to the people who can’t afford it. We must try our best and provide food to at least a few needy people who can’t afford healthy food. Let’s not restrict this good gesture limited to only the World’s Health Day but also do this on a regular basis. Let’s be humble and grounded for whatever we have and help those who don’t. This chain can help people worldwide and can bring positive change worldwide. Take a small step today on this World Health Day 2018 to a healthier you and the world.